Your dental care routine is an effective way of preventing dental problems and gum diseases; but that alone does not assure you that tooth decay and infections won’t strike your mouth. Whole grain products abound in markets and grocery stores. They gained popularity due to their benefits in shedding pounds and managing weight. The good news for your pearly whites is that whole grain or whole wheat products also give a lot of benefits for your dental health. Whole grain foods or products actually have the bran, germ and endosperm intact, unlike the refined grains where the bran and germ are stripped away from the grains. These are better choices in many ways. This is because whole grains retain protein and fiber as well as nutrients. Here are a few reasons for loving these plant-based foods even more and their impact on your dental health. Bran and Germ. Since the bran and germ in whole grains are intact, you get all the nutrients it has to offer. The bran actually has the vitamins and antioxidants that are the key to treating inflammations in gums and teeth. The germ, on the other hand, is rich in B vitamins which aid in calcium absorption and anti- inflammatory effects and healthy fats. Fiber. Whole grains are rich in dietary fiber. It can either be soluble and insoluble. Our body doesn’t have the ability to digest fiber unlike animals. Fiber aids mainly in digestion and increases saliva production as these types of foods tend to be chewy increasing mastication. This act washes away bacteria and food particle residue in the mouth. 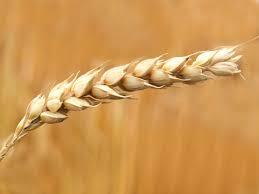 Eating whole wheat grains rich in fiber decreases your risk of tooth loss, bone loss and receding gums. Calcium. Although not all grains can offer you calcium, one grain called teff shows a lot of promise. Calcium is a key mineral in strengthening bones and teeth. It provides benefits on your teeth and bones which makes them strong. Vitamin C. Vitamin C plays a big role in healing and repairing your cells. This also boosts your immune system to help prevent tooth decay and gum diseases. B vitamins. B vitamins like thiamin, riboflavin, niacin and folic acid are beneficial to your gums. The lack of these vitamins can give you tooth aches, sensitive teeth, and receding gums. Minerals. Minerals like iron, magnesium, and phosphorus are necessary for calcium absorption into the teeth and bones. Iron also aids in the transport of oxygen rich blood to vessels and arteries of the gums and teeth. The benefits of eating plant-based foods are evident. Hopefully, these benefits would encourage you to eat whole grain foods instead of processed or refined foods. Your diet is important in many ways than you think. Healthy food choices along with regular dental care practices would help you save your pearly whites from emergency room for tooth pain, staining, tooth decay and periodontal diseases. These dental problems, as we all are aware of, are often caused by bad habits and wrong food choices.